In some beaches, there are underwater reefs (or rocks) having sharp edges and those can be quite close to the water surface. They are sometimes not easily visible, more so during the high tides. One can get bad bruises or cuts with these unless one knows where they are and being able to navigate around them. Another problem with some of the beaches in Bermuda is the underwater current. You should stay away from these beaches if you have kids with you. Rather go for shallow and calm beaches that also have facilities like bathrooms, cafe, associated playgrounds etc so that the children can enjoy fully. 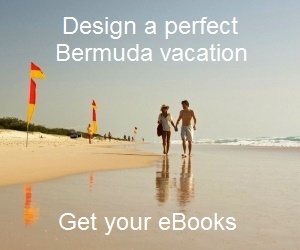 Check out Beaches for Kids & Families to know the ones that I recommend for Kids & families in Bermuda. There are many children's playground and kids parks all over Bermuda. If you are arriving by cruise and docked at Kings Wharf, there is a small playground at dockyard itself located next to the entry to Snorkel Park. If you are going to a beach that has an adjoining playground, you get double benefits by having both beach and a park at the same place. I have compiled a list of playgrounds in Bermuda that are open to public and best for the visitors and their families. Check out Kids playgrounds to know about them all. Other than the beaches and playgrounds, there are plenty of other attractions in Bermuda for the kids. An that includes a great aquarium showcasing north Atlantic deep water fish and marine life, several museums, zoo (which is part of the Aquarium complex), caves with stunning formations, many historical forts and lot more. Check out Kids attractions in Bermuda to know all my recommendations. A popular attraction among families is to visit Harbor night festivals and do face painting, tattoo, taste island food from local vendors, watch the Gombey dancers perform at the festival etc. Several other activities like Helmet Diving to see marine life & corals while walking on sea floor, snorkeling, glass bottom boat tours to see turtles and many colorful fish etc are also very popular. Check out Kids Activities in Bermuda for more details. If you are travelling to Bermuda by air and taking your kids along, you will need to know about the hotels that are kids friendly. That means you will need to find out the hotels that offer special kids programs to keep them happily engaged, provide baby sitting services (if you need one), and also have sports and other activities. The restaurants in the hotels should be kids friendly as well and prepare the right kind of food for them. Check out Hotels for kids and families to know all about our findings of the best hotels to stay in Bermuda with families and kids. There are several restaurants of different types in Bermuda that welcome kids and some of them also offer special kids menu, and some even engage the kids in activities which they love. And also note that there are several restaurants (particularly with bars) that have restrictions for children. Visit Kids & Family Restaurants to know more. There are plenty of stores in Bermuda for kids and children selling varied items starting from clothing, toys, chocolates, food, art & crafts, electronic items etc. Check Bermuda kids stores to know about the best stores for children.